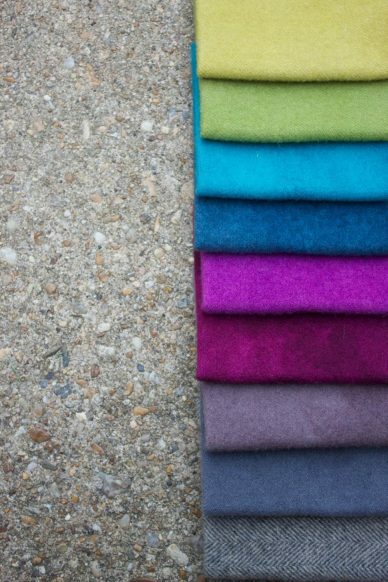 The AG + Weeks Dye Works collaboration is an exciting mash up of hand dyed wool + bright and bold colors for a modern palette. 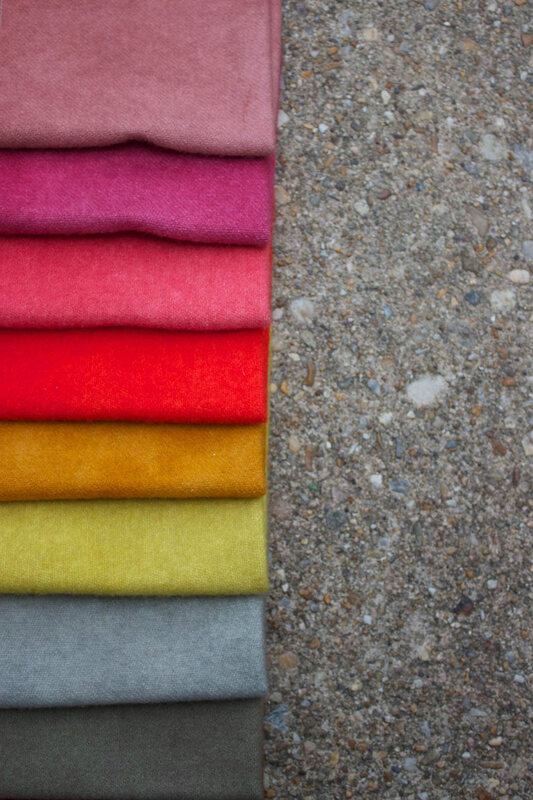 Wool fabric is naturally dyed, creating color variation in the fabrics which add to the beauty and uniqueness of the final product. Charm sets of approximately 8″ squares of wool fabric in Warm & Cool palettes are available.